You want to raise money to start or expand your marijuana business, and the idea of reaching out to potential investors through crowdfunding sounds appealing. Crowdfunding allows companies to drum up small amounts of money by tapping a large number of investors, typically via the internet. It might be family, friends, members of the local community or complete strangers. But is crowdfunding really a good option for marijuana businesses? On paper, it sounds like the solution to the marijuana industry’s funding problems, promising to give cannabis companies a badly needed alternative to traditional sources of financing such as angel investors and venture capitalists – many of whom are still wary of marijuana. In reality, though, raising money via crowdfunding is a complicated process for cannabis companies, and experts say it requires skilled legal help. For starters, you need a bank or credit union account for a crowdfunding deal to proceed, as they serve as an escrow agent and hold investors’ money during the crowdfunding process. But as anyone in the marijuana business knows, finding a company bank account can be an effort in futility. 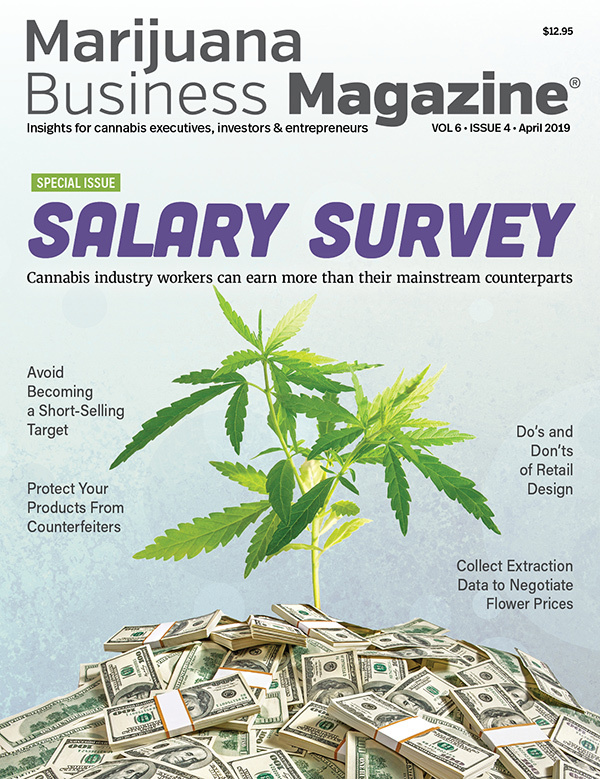 This issue bubbled to the surface in May, when StartEngine Crowdfunding closed the account of a cannabis-related software company that doesn’t touch the plant. The reason: The software firm’s bank, which held the funds collected via StartEngine, was wary of the cannabis connection. Another obstacle is the nationwide patchwork of state-level marijuana laws. Add to that the regulatory complexities of navigating a crowdfunding deal, and it’s not the quick and easy route to investment dollars that many entrepreneurs might think. The buzz around crowdfunding for the marijuana industry gathered momentum last spring after new federal rules kicked in that allowed small companies to tap ordinary folks for financing. 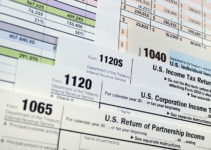 The Securities Exchange Commission’s new rules permit less wealthy individuals to invest $2,000 a year and wealthier investors to put $100,000 a year in a small company in exchange for an equity stake in the business. The SEC’s regulations kindled hopes that cannabis companies could tap mom-and-pop investors for funding – up to $1 million a year through this method. 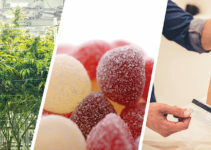 However, experts aren’t convinced it’s a realistic route for most marijuana-related companies given the unique challenges and the stigma the industry faces. Geri Stengel, the founder and president of Ventureneer, a New York digital media and market research company that works with small businesses and nonprofits, is equally dubious. The SEC rules essentially call for a national crowdfunding campaign – versus one located in a single state. The different state-level cannabis and crowdfunding laws around the nation therefore make such a national approach tricky. Experts advise that if you’re determined to conduct a crowdfunding campaign – or if it’s the only real alternative available – get a securities lawyer and any other experts who can help walk you through the process. Plus, do your homework to make sure you understand and follow all the rules. “I advise early-stage entrepreneurs to be diligent in finding experts who have navigated these challenges before in other industries and rely on their knowledge in order to position themselves for success,” Bocskor said. Stengel said one alternative for MJ firms is to pursue a crowdfunding campaign within a single state. That way, they’ll be dealing with the cannabis and crowdfunding laws of just one area – versus multiple jurisdictions. A growing number of states now allow equity-based crowdfunding within their borders, much like the national approach laid out by the SEC’s new regulations but on an intrastate basis. As of mid-July, 35 states had passed legislation to permit intrastate crowdfunding, with the law in effect in 29 of those states, according to the North American Securities Administrators Association, a state securities regulator group. Those 29 states include Arizona, Colorado, Maryland, Massachusetts, Oregon and Washington, all of which have legalized medical and/or recreational cannabis. “It would be the better route,” Stengel said of intrastate crowdfunding, stressing that companies should seek out a lawyer to help navigate regulatory issues. 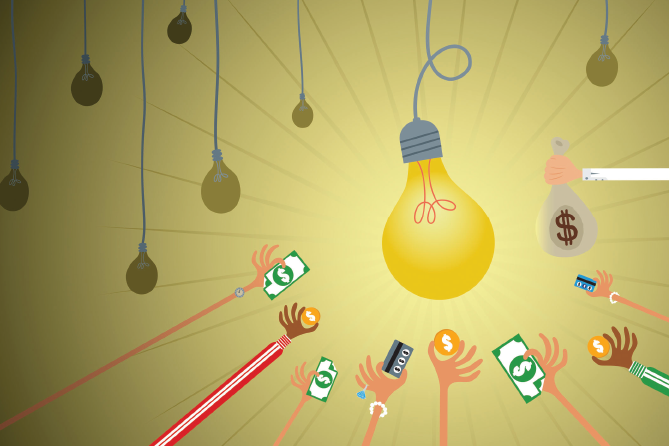 What about more established crowdfunding sites like Kickstarter or Indiegogo? Investors using these platforms don’t receive an equity stake in the business but instead get rewards like T-shirts, signed copies of books or early-bird specials. “Crowdfunding sites like Kickstarter allow people to raise money for projects without selling equity, which we have seen be successful for non-cannabis businesses already,” Bocskor said. But will these platforms work for a marijuana business? A female-owned company producing educational videos about growing medical cannabis. A company that makes baking mixes that allow users to add their own cannabis. Another potential avenue for cannabis entrepreneurs is a 2015 SEC rule known as Regulation A+. It allows companies to raise up to $50 million through a wider pool of investors – both those with and without deep pockets. Companies can advertise their so-called “mini IPOs” on websites and via social media. Wealthy individuals and those of more modest means can take an equity stake in the company. But the cannabis industry’s efforts to conduct a crowdfunding campaign through Regulation A+ hit a snag recently. In September, the SEC “temporarily suspended” the Regulation A+ offering on StartEngine by Med-X, a marijuana-related company involved in scientific research and publishing. The SEC said the California business failed to file an annual report for its 2015 fiscal year, which fortunately appears to be more of an issue related to the company specifically rather than something tied to the fact that it’s involved in cannabis. The company has been searching for a bank or credit union to serve as an escrow agent for such deals. But so far there have been no takers. “They say, ‘Well Vincent, marijuana is still on Schedule 1 and we can’t touch it,” Petrescu conceded. But he’s confident truCrowd will ultimately find a financial institution that will step forward. “It’s a matter of months before we do it,” he said. That said, should you as cannabis entrepreneur look to crowdfunding to solve your financial needs?